If you haven’t been keeping up with the ever-diversifying cooler market, know that 1) such a market does seriously exist, and 2) it’s actually red hot. There’s the bear-resistant OtterBox. The military-approved Pelican Elite Cooler. Premium, “peak performance” K2 coolers. And of course, let us not forget the lasting cult of Yeti. 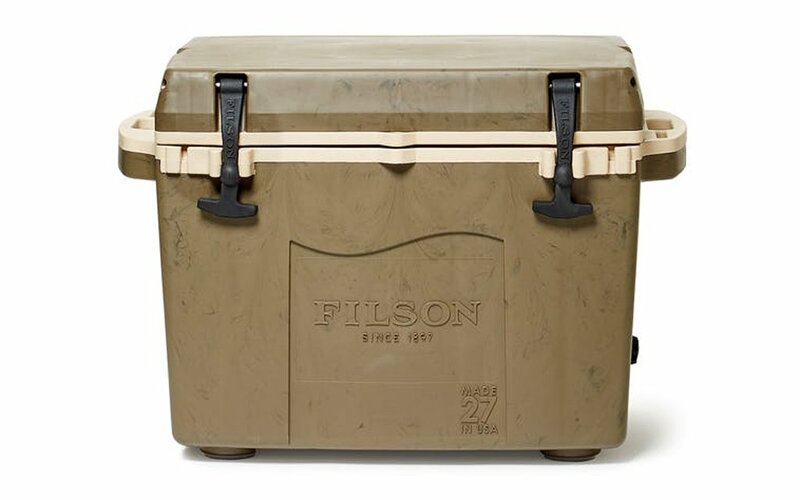 And now outdoor heritage brand Filson is looking for a piece of the action, launching a new 27-quart hard-sided cooler that can hold 24 cans with room for ice. 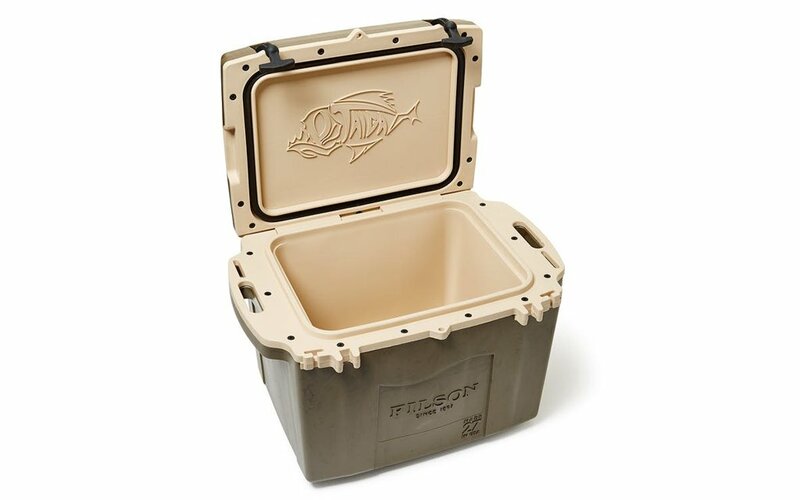 But unlike the brands who have funneled greenbacks into developing their own line of coolers, Filson has taken a different approach, partnering with Texas-based cooler company Taiga to make its own line of custom ice chests. Which begs the question: why not just buy a Taiga cooler? Taiga may not have a flashy web presence (in fact, it’s god-awful), but by specs alone, it appears its coolers can go toe-to-toe with some of the industry’s most marquee names. Between the rugged construction, extra thick walls and top-notch insulation, it’s no wonder why it’s company Filson is willing to keep. Moreover, Taiga is veteran-owned and makes all of its coolers in the U.S.
What makes Taiga coolers so great, however, is the fact that you can customize them, a feature Filson has taken advantage of with its own collection. But while Filson’s custom camo cooler costs $275, a little digging reveals you can get your own custom cooler for quite a bit less, at $219. Which is all to say Filson’s new cooler is wonderful for brand loyalists, but for anyone looking to one-up the next guy at the next BBQ, going straight to the source is your best bet.